Hiring a skip is a great way to remove waste from your domestic or commercial property- it allows you to do so quickly and easily. Here at Skips Preston, we can help you to get more out of your skip hire, taking into consideration what size skip you need for your project and ensuring that waste is disposed of correctly. Choose a skip hire company that you can trust. 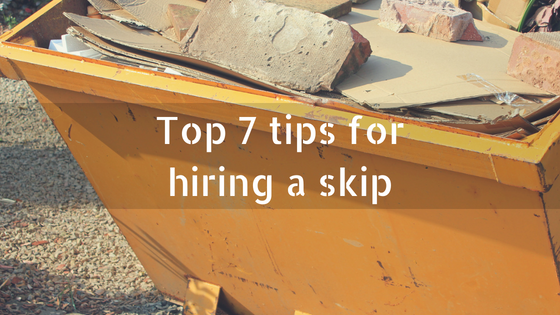 Always hire a skip from a reputable skip hire company, like us at Skips Preston. Our team of professionals have developed a wealth of knowledge and experience when it comes to Skip Hire Preston and understand what customers are looking for when it comes to disposing of waste. We are always on hand to provide you with any advice or support that you require when looking for skip hire that matches the requirements of your project. Need to know more about Skips Preston? We supply skips in all shapes and sizes, making it inevitable for you to find the right sized skip, for the right price. The skips that we provide for Skip Hire Preston start from 2-cubic yards and range all the way up to 40-cubic yards, so no matter how big or small that your project is, you’re bound to find a suitable solution, here at Skips Preston. Skip Hire Preston is ideal if you’re looking for reliable waste disposal. The larger skips tend to be hired by commercial clients who generate large volumes of waste frequently, where domestic clients generally opt for the midi or maxi skips that we provide. Should you require any assistance choosing a skip for your project, don’t hesitate to seek advice from the team of experts at Skips Preston! Choose where to place the skip. When placing a skip, you need to make sure that you don’t restrict your neighbour’s access as this will cause more hassle than it’s worth. Narrow roads make it virtually impossible for skips to be delivered safely because there is limited space for our large fleets to manoeuvre. Your skip should also be placed away from junctions and shouldn’t block roads or restrict traffic. To get the most out of your Skip Hire Chorley, think about the space that you have available and the space that you need in order to place your skip safely. Is a permit required for your Skip Hire Chorley? Depending on where you choose to place your skip, a skip hire permit may be a legal requirement. There are several factors that can influence the cost of the permit for Skip Hire Chorley, one of the main ones being the location. Skips that are left on the road overnight will need a permit but if your skip is placed on private property (i.e. your driveway or garden) you won’t need one. Other factors that influence whether a permit is required for your skip hire include the skip size and the duration of your project. If you need a permit for your skip, we can make it easier for you by obtaining it on your behalf, from the local authority. There are strict laws surrounding what can and cannot be disposed of inside the skips that we supply for Skip Hire Wigan but despite this, many clients still choose to use their skip to dispose of prohibited items! Asbestos, tyres and TV’s are all items that we shouldn’t find in our skips, as are fridges and freezers, liquids and clinical waste. The listed items are banned from the skips that we provide for Skip Hire Wigan because they require careful handling and disposal. Tempted to hide items in the middle of your skip? – DON’T! At Skips Preston, we can provide Skip Hire Leyland to meet and exceed the requirements of an array of customers. When loading your skip, you need to be mindful of the weight of items, ensuring that smaller, lighter items are placed at the bottom whilst denser materials flatten them. Upon collection, we transport your skip to the local recycling centre where we recover the waste that is stored inside it. Whilst sorting through the skips that we collect, we aim to separate the waste to enable us to recycle 90% of the materials. Sorting the waste from Skip Hire Leyland will also uncover any prohibited items and fines can be issued to those who are held responsible. Before you jump into Skip Hire Leyland or Skip Hire Bolton, two feet first, think about the materials that need throwing out. Your skip can be used to store large objects that are no longer wanted or needed but they can also take up too much space in the container, meaning that you’ll fill your skip quicker than you perhaps anticipated. As a result of your skip being right in front of you, it can be the easiest option to remove unwanted objects from your property and throw them in but it’s also the laziest option. You need to be prepared to do your research when it comes to Skip Hire Bolton; sometimes, it works out more affordable to find an alternative method for disposing of bulky materials, take charitable donations for instance. Charities are always looking for donations and they will ensure that your unwanted items go to a new home. Try to fill the empty spaces within your skip- you’d be surprised just how much space that you could save by breaking down objects into smaller, more manageable sizes! If you need to know more about the skips that we provide for Skip Hire Bolton, don’t hesitate to get in touch with our team of experts on 01772827603 today! How to dispose of waste responsibly?